WordPress is a highly versatile software. It is a blogging software but it is much more than that. It is a software that is free to download and install by anyone. You can use it for enumerable different applications as well. For example it can used as a blog, a content management system, an ecommerce website and there are just a few examples. Whatever the kind of website you may have there is often a time when you need to either shift your data to may be a new WordPress website or require to duplicate your data, even need to take a backup of all your website content for some reason. At times you may even need to export you data to a file in order to import it in to some other form and run several analysis on it. For the tougher tasks in WordPress it is advisable that you do hire a WordPress web developer; in fact Alakmalak is one such WordPress Web Development service provider. Exporting you information from WordPress into as single file is not very complicated and can be performed with the help this article. 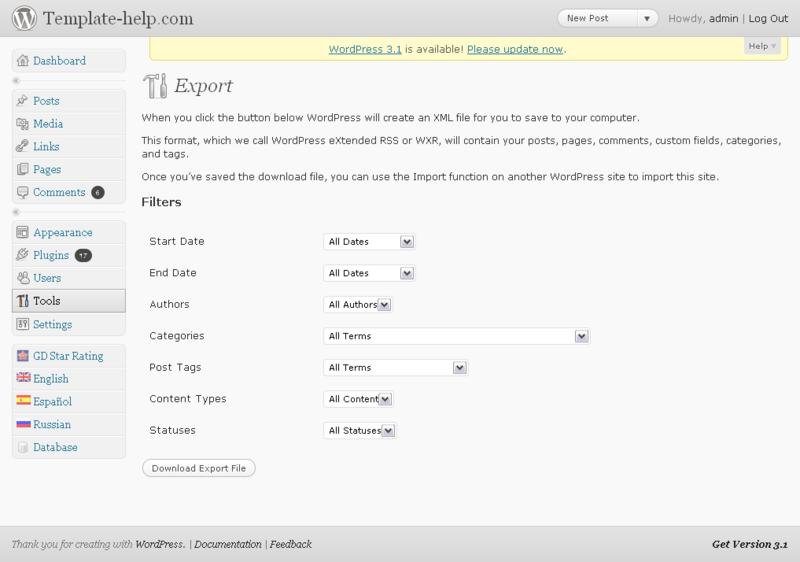 WordPress has the feature where you can export your entire blog or in bits and pieces into as single file. It is as also provide a very simple user interface to do this. The Export tool can be accessed by going to the Admin section and selecting the Tools tab. You will find the Export option there. It comes in handy when your require to save the contents of blog to a single file. The Export page itself has several different options. To start with you can either export the entire website at one go to one file. You are also given the option of either exporting only the posts or the pages. With the option to export only posts and pages there are several other options like choosing the date period between which you want to extract the posts or pages. How PrestaShop Search feature Works? How to Manage Taxes in PrestaShop?